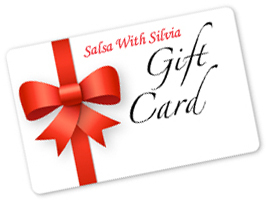 Shoes, Custom Apparel Designed By Silvia, Instructional DVD, Customization Gift Cards, Accessories and more, get it here at the Salsa With Silvia Online Store. The perfect gift for someone special. Give them the gift of dance or buy for yourself and have it handy to learn or review steps and patterns. In this DVD, Silvia breaks down all salsa moves needed for a solid foundation. Customize the perfect gift for a loved one. Choose from variety of templates. Refer to our Prices (top menu) if you have a specific package in mind that you want to give. Select from a variety of dance shoes models for women and men. 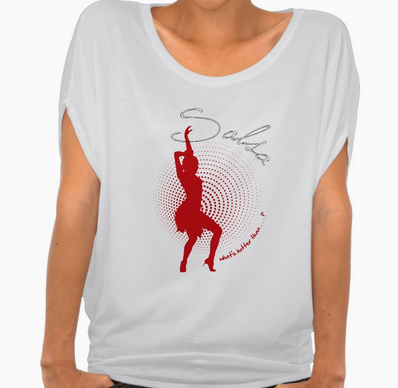 Great Salsa clothing designed by Silvia. Mouse pads and other Salsa With Silvia accessories available.